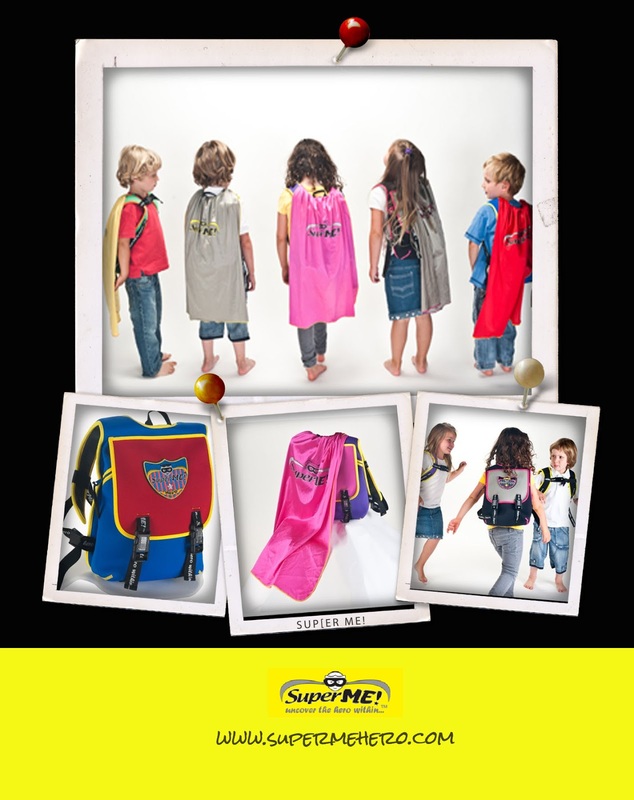 SuperME is the place for your little one's to get their imagination flying with super hero backpacks and messenger bags. These aren't ordinary bags as they have secret features that will uncover a secret hero within. 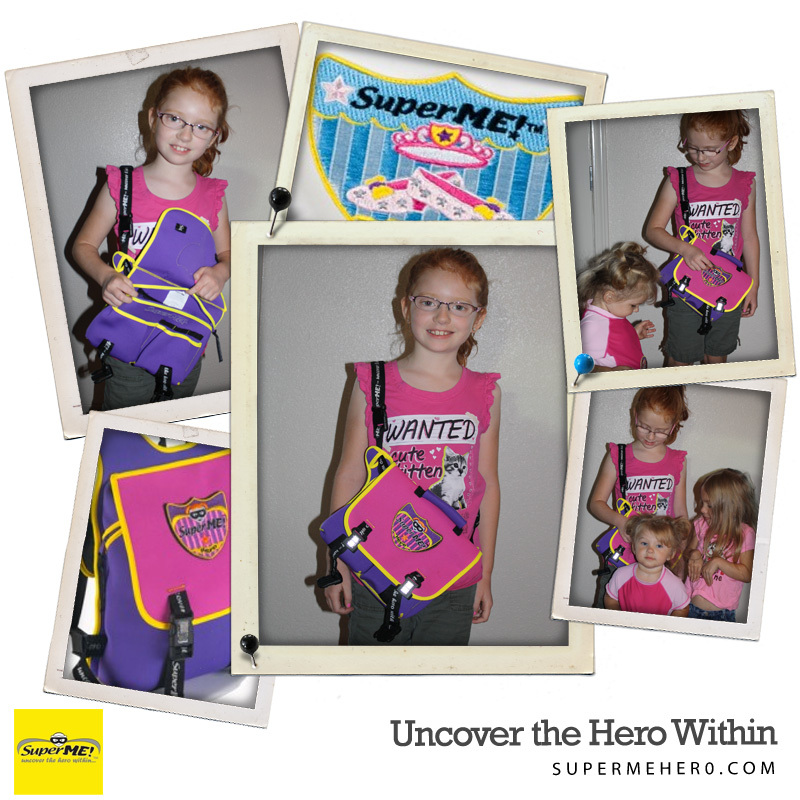 The backpacks stash away a superhero cape and the messenger bags unveil a superhero utility belt. You can complete the ensemble with patches and masks. The Messenger Style Lunch Bags are insulated, water resistant and the removable strap converts into a superhero utility belt! We did review this and my girls instantly fell in love with it and almost fought over it until I told them I would buy another one so they both have one. We received the Bubblicious Messenger Bag for Girls and it's durable, lightweight, roomy and the fact it's insulated, will help keep cold food cold and hot food warm. It's a must have if you have a super hero at home and takes their lunch to school. It has other uses as well as we have brought it along on picnics and trips in the car. It's a great way to encourage creativity while providing a great way to bring lunch. This Black Friday through Monday, you can save 35% off site wide! Just visit www.SuperMEhero.com and type in code SuperTY to save! My son would love the pirate messenger bag! Thanks so much for the fantastic giveaway and happy holidays! My son would love the pirate messenger bag! My son likes th epirate messenger bag. The Ninja Cape Backpack is adorable!! Where were these when my oldest son was little?? I've made many capes for him...plus there was always the bath towel pinned to his back :) Of course, he's 19 now & I still had to make a Batman cape for him for Halloween! My daughter would love the cape backpack. Ninja - Messenger Lunch Bag for Boys. 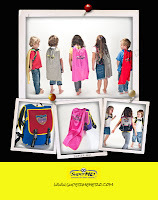 Classic - Kids Cape Backpack.